I've heard them called Shanks, Food Bars, and Health Bars. I'm wondering what the proper (official) name for these is. Here are some of the names referenced on the Minecraft Wiki. First, is "Hunger Indicator". The hunger indicator is shown above hot bar, to the other side from health indicator. To me this name seems the most fitting, seeing as it matches the "Health Inidcator". Next, we get two in one: the hunger bar / food bar. After reading this, I realised that the "Health Bar" has multiple names, so any of these names listed above are acceptable. It's either hunger value or food bar. I've taken this from jeb directly and the wiki. The player's hunger value is shown on the heads-up display in the form of a hunger bar (also called food bar), which is similar to health bar (located above the hotbar), located opposite to it and represented by ten drumsticks. 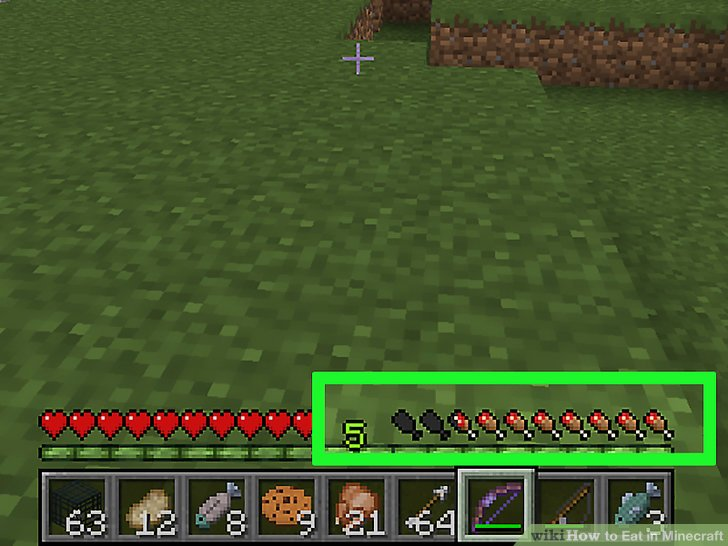 Saturation is the first statistic to decrease when a player performs energy-intensive actions, and it must be completely depleted before the visible hunger meter begins decreasing. What is the name of the texture pack featured in “20 Things You Didn't Know About Minecraft”?